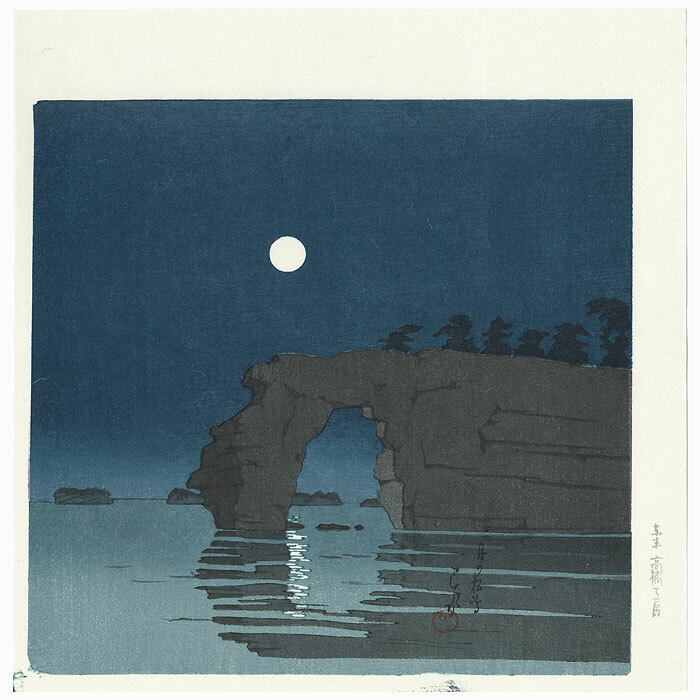 Moon at Matsushima - Fantastic Hiroshige view of a luminous full moon at Matsushima high above a rocky arched formation topped with pines. 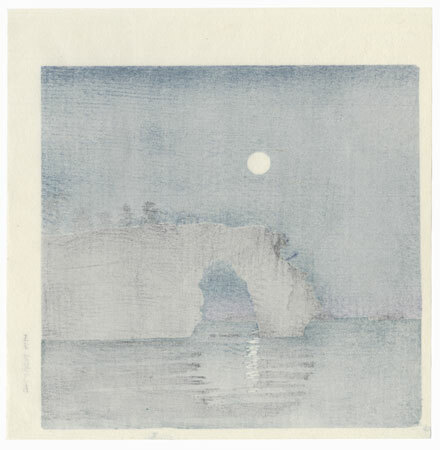 The rugged rocks and the moon are beautifully reflected in the shimmering water below, with faint ripples stirring the quiet surface. Superbly colored with masterful bokashi shading creating soft gradations of color. 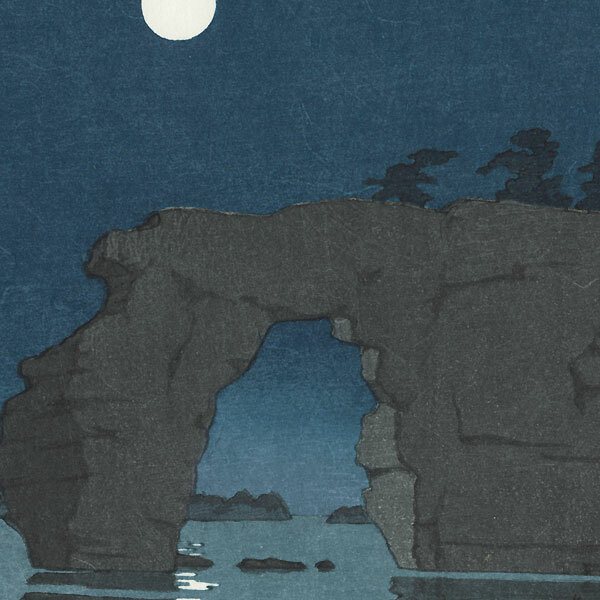 A fantastic Hasui night scene..